F. Douglas Gatz is a partner in the Lafayette office of Lewis Brisbois and a member of the Admiralty, Maritime & Energy Litigation Practice. 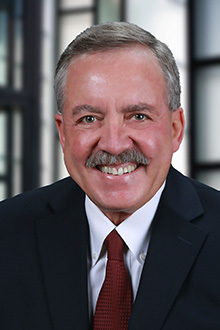 During his 30 year career, he has primarily practiced in the area of Admiralty Maritime & Energy Litigation and General Liability Litigation in the state and federal courts of Louisiana and the Southern District of Texas. He has handled cases involving personal injury, property damage, (both offshore and onshore) and vessel collision/allision, claims involving contractual defense and indemnity issues, and insurance coverage disputes. Doug also has experience in defending trucking liability cases. His practice also focuses on negotiation of drafting, interpretation of and litigation involving exploration and production energy contracts and vessel charters. Taught high school science for 3 years in Lafayette Parish.